As late May rolls around, the mood begins to shift as the end of school approaches. Seniors don their graduation caps and gowns, preparing for their last official day and reflecting on how quickly the years seem to have passed. And for the schools themselves, a different type of preparation takes place: the list of universities. In what has become a hallmark of success, they meticulously track the many acceptances, carefully identifying those that may offer a point of pride. NIST is no different; like many other types of data, the acceptances provide us with a measure, one that enables us to determine whether we are providing a quality education. But the list doesn’t capture what is unique about each of our students in the Class of 2017. 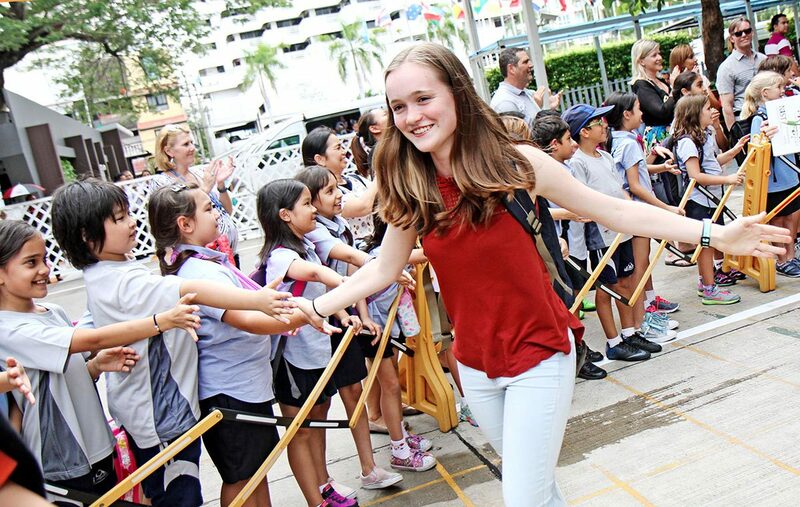 Having joined NIST in Year 12 on a scholarship for the Diploma Programme, one of our graduates quickly adjusted to her new environment, making friends and signing up for a seemingly endless number of activities. In addition to being a leader in two student-run service groups and performing in theatrical productions, she even created and ran her own after-school anime club for elementary students. 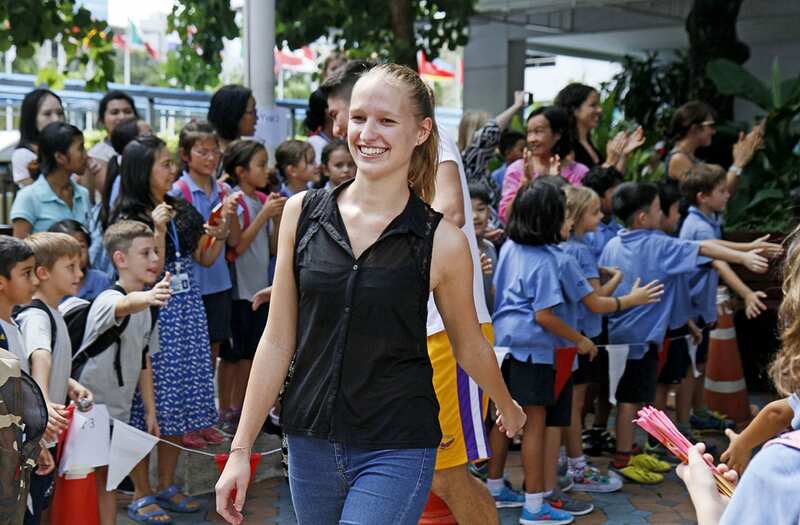 In the summer following her first year at the school, she traveled through remote regions of northern Thailand with the Princess Mother’s Medical Volunteer Foundation. Assisting the team under the self-proclaimed title of “Youngest And Least Medically-Qualified”, her role played a small part in saving lives. In August she will be bringing her passion for helping others to the pre-medical programme at Johns Hopkins University. In contrast, another senior has been with the school from the time he was in the early years programme. An avid athlete, he has been active in numerous sports throughout his time at the school, including softball and his greatest passion: fencing. When the Falcons Fencing Club launched several years ago, he was among the first to join and dedicated himself to mastering the sport while balancing this with his studies. Guided by the two-time Olympic medalist head coach, he earned trophies at several national events and began competing internationally. 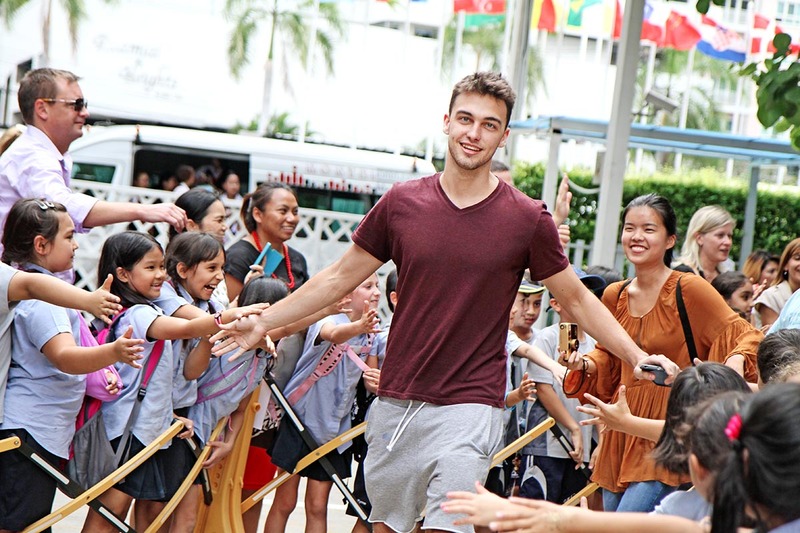 As he wrapped up his final year, his gold medal at the annual school tournament and performance at the global fencing championship earned him a place among the top 100 fencers worldwide. Having accepted a scholarship offer from Duke University, he will soon be joining their Blue Devils fencing team. A third graduate, originally from India, moved from Romania to Thailand in Year 4. Reflecting his international background, he is trilingual and once delivered a TEDx talk on a personal journey through the steppes of the Tibetan border, where he stayed with local families and found himself questioning what we should value in a society increasingly driven by materialistic desires. As president of the NIST Development Bank, he applied those lessons directly through the group’s work, funding student service initiatives within the school. This humanitarian streak parallels his passion for engineering, which drove him to create and lead NIST’s first robotics club. When he goes on to the University of Pennsylvania’s School of Engineering and Applied Science this fall, he will explore the applications of artificial intelligence in improving lives. Every graduate and every university has a story. As a community we are certainly proud that the Class of 2017 will be attending some of the very best institutions in the world: Columbia University, Cornell University, Duke University, Johns Hopkins University, Imperial College London, King’s College London, McGill University, University College London, University of British Columbia, University of California Los Angeles, University of Edinburgh, University of Michigan, University of Oxford, University of Pennsylvania, University of Toronto, Yale-NUS College and many more. But we’re even prouder that every graduate’s path mirrors their own unique passions and offers them the opportunity to write the next chapter in their story. Congratulations, Class of 2017. Write a story that empowers you to grow and flourish. Write one that positively impacts others. Write one that changes the world. The members of the Class of 2017 have received over 450 acceptances to date. Those who have made a decision will be attending the following universities. 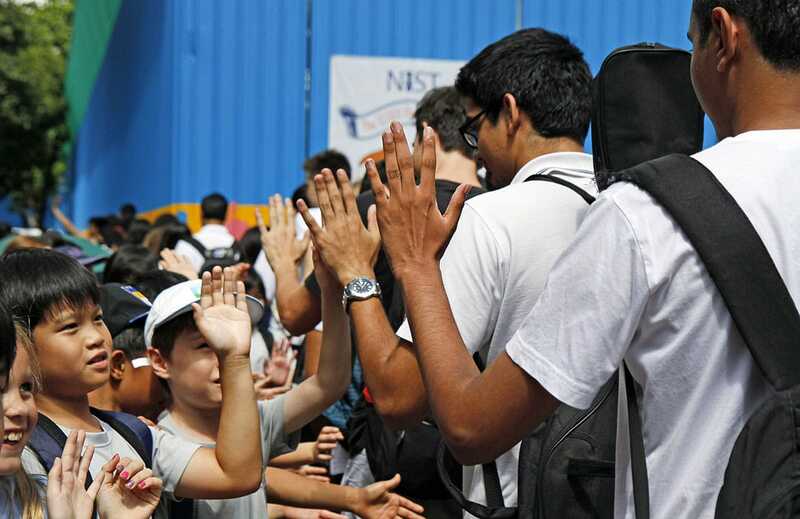 Saturday, the 21st of May, marked the last official day that the 111 members of NIST International School’s Class of 2016 were students at the school. With their IB exams complete and diplomas in hand, they were ready to take the first step in a new and exciting journey. However, the bittersweet graduation ceremony was not the final farewell. Just over a week later, they received a much grander sendoff after their last assembly, as the entire school turned out in an annual tradition to cheer and celebrate the accomplishments of this unique group of graduates. Though they share a common bond through our community, the paths of the Class of 2016 will now be incredibly diverse. 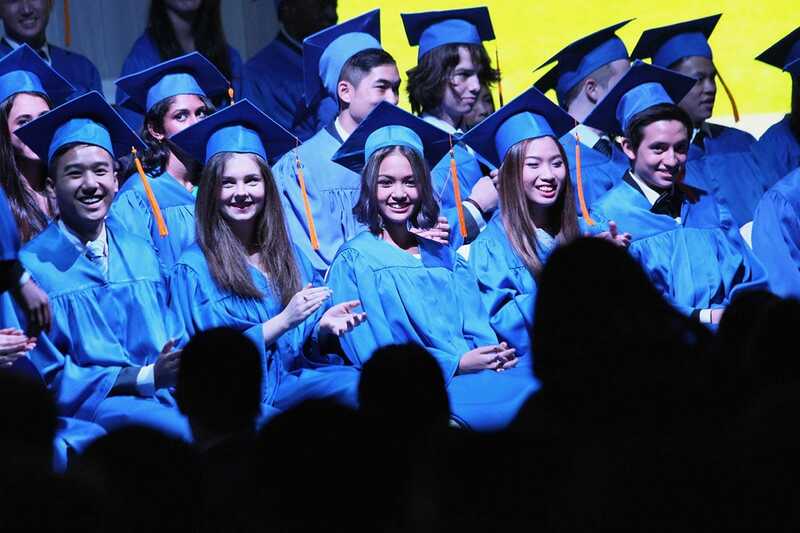 With acceptances continuing to appear daily, the departing seniors have already been offered places at more than 300 universities in over a dozen countries, from the United States and United Kingdom to the Netherlands and Germany. More impressively, the offers they have accepted include a large number of elite universities. Of the 94 students who have made a decision, a full 50% will be attending institutions ranked in the top 100, an incredible number considering over 17,000 universities exist worldwide! 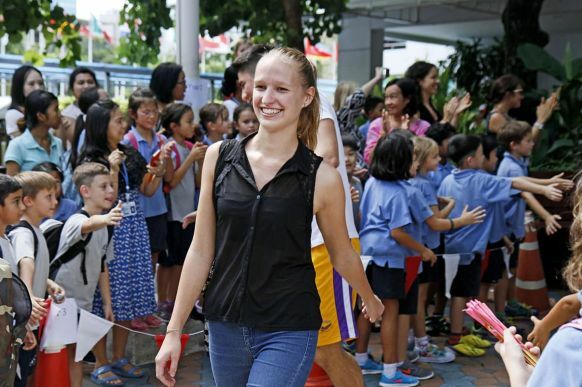 Their fields of study will be equally broad, from biochemistry at Imperial College London to theology at the University of Cambridge, biomechanical engineering at Georgia Tech to international relations at New York University, computer systems at the University of Melbourne to human diversity at Leiden University, and biosciences and medicine at the University of Hong Kong to arts and language here at Chulalongkorn University in Thailand. 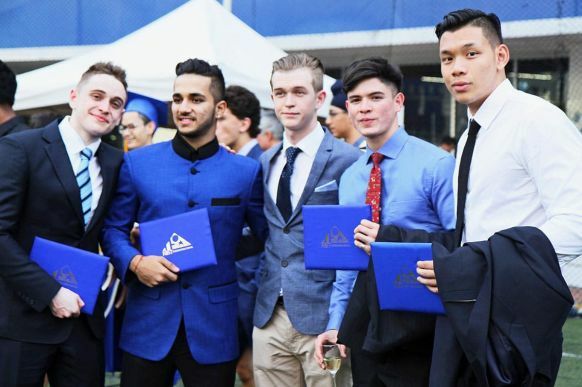 Among the others that the Class of 2016 will attend are Dartmouth College, the University of Wisconsin – Madison, University of Edinburgh, University College London, Kings College London, University of Toronto, McGill University and several other well-known institutions. 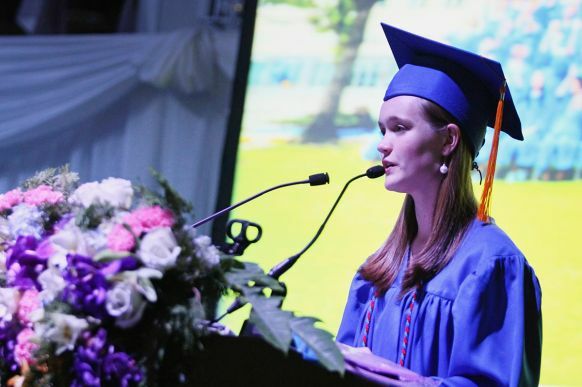 Yet what distinguishes this class is not merely the caliber of their academic accomplishments, but also the impact they have had on others in and outside of the NIST community. Many of the graduates helped create service groups in the school that transformed the village of Maeramit in Omgoi, launched a non-profit sustainable coffee company, and supported members of the community through microcredit loans and scholarships. 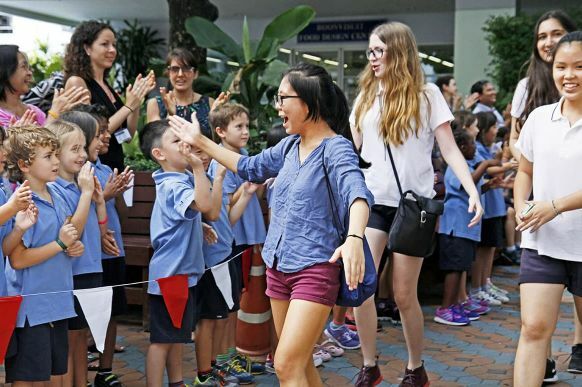 Their passion for learning and working with others to create positive change has made a mark on the school – one that will continue to influence future students. NIST’s mission is a simple one: to inspire growth, empower individual excellence and enrich lives. It’s difficult to look at the young faces of the Class of 2016 and not see the embodiment of those ideals. As they begin the next chapter of their lives, we hope the NIST spirit will be carried with them. Congratulations and best wishes for the future! Once a NISTie, always a NISTie. 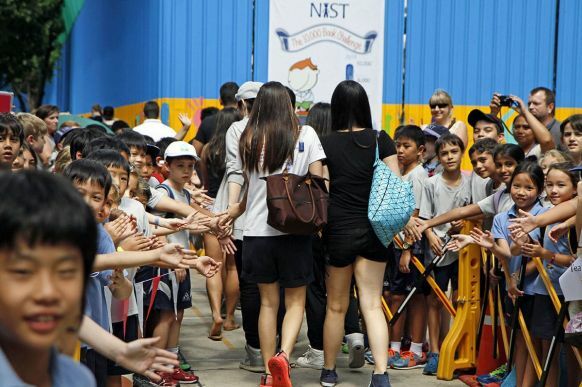 As they left their final class assembly on the afternoon of Friday, 22 May, NIST’s Class of 2015 encountered a heartwarming surprise. 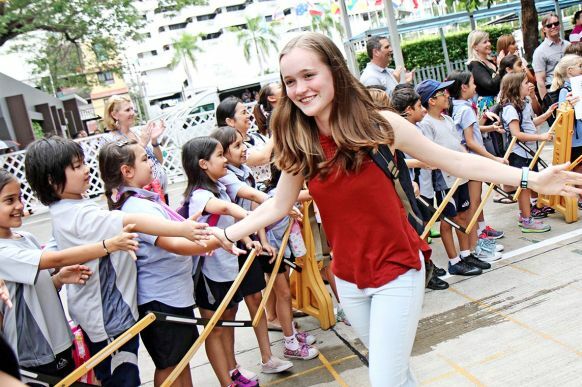 Lined through the halls and across the campus were all of the school’s teachers and students, gathered to wish them a fond farewell. 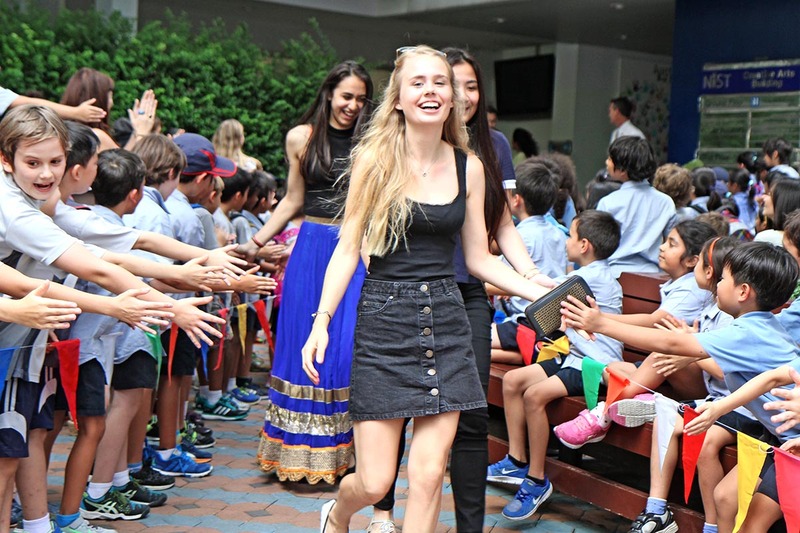 In what has started a new school tradition, the seniors were cheered as they walked across the NIST campus for the last time as students. 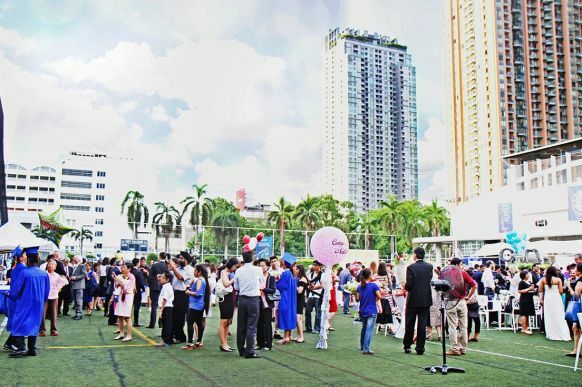 The line of smiling faces led them to one of the lounges, where they had the opportunity to chat and reminisce with their teachers and peers. Even on a global level, this year’s graduates showcase the incredible esteem universities around the world place upon a NIST education. 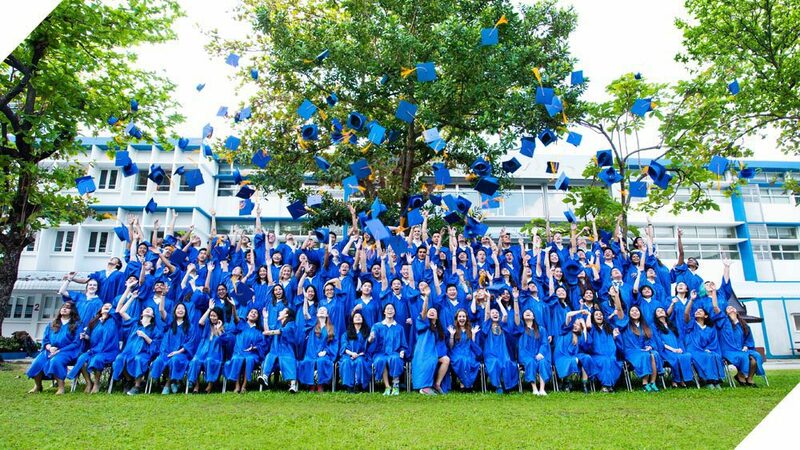 With acceptances continuing to arrive daily, the 98 members of the graduating class have so far received over 300 offers to over 160 universities, most of which accepted 100% of the applicants from NIST! 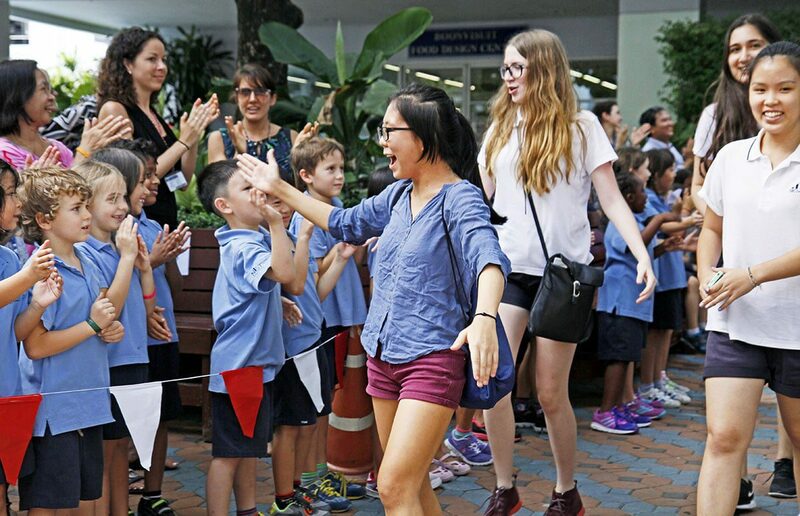 Equally impressive, the students received a total of THB 45,210,000 (USD $1.35 million) in scholarship offers. Among the universities extending offers are highly selective institutions such as UC Berkeley, UC Los Angeles, Carnegie Mellon University, Claremont McKenna, Cornell University, Georgetown University, Northwestern University, the University of Southern California, Tufts University and St. George’s University. 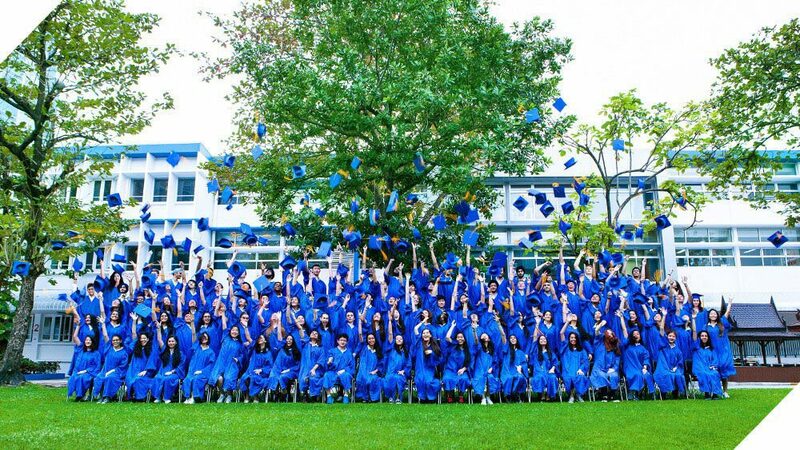 The Class of 2015 is notable for another reason as well: it includes the first NIST graduates to earn the Global Citizen Diploma (GCD), a unique diploma that only a small number of top schools around the globe are offering. An optional qualification, it offers students the opportunity to showcase their accomplishments beyond traditional exams and transcripts. The first group of GCD recipients from NIST include, among many others, a concertmaster, aquaponics farmer, stock investor and community development worker. In his message to the NIST community in the annual yearbook, Deputy Prime Minister of Thailand and Chairman of the NIST International School Foundation M.R. 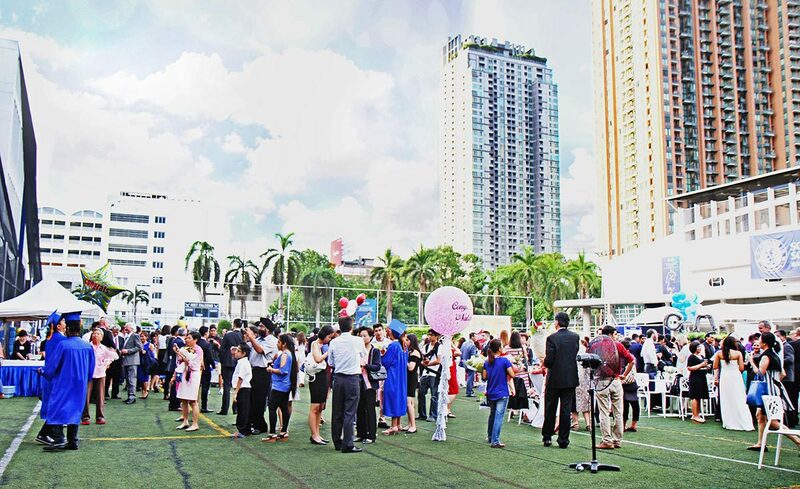 Pridiyathorn Devakula remarked, “I hope that our graduates will carry those ideals on and contribute to the betterment of Thailand and nations around the globe”. As this unique group of entrepreneurs, musicians, scientists, athletes, artists and dreamers leaves the school, it is clear that they will seek to do exactly that, making a positive impact on the lives of others. The end of a school year is always a bittersweet time. 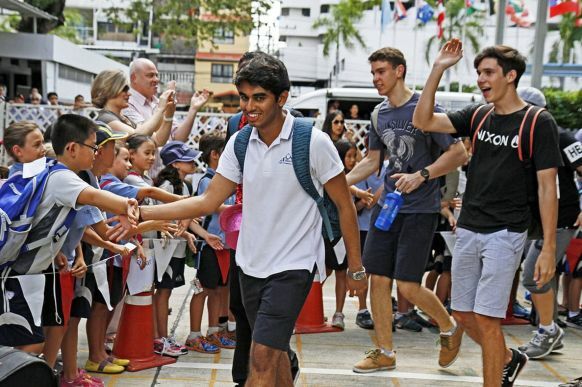 While students and teachers alike look forward to the last day, eager for some time to relax and recover, a sense of loss also comes with the departure of the senior class. 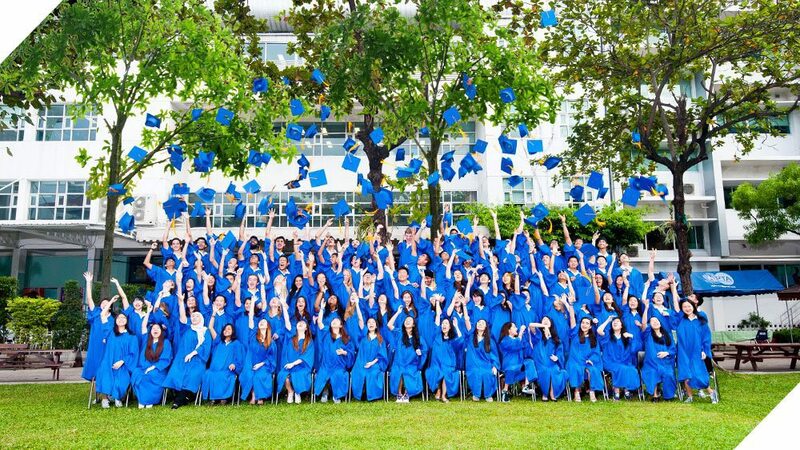 The end of high school marks the first major milestone in life, a seismic shift for young adults who must step out into the world on their own. 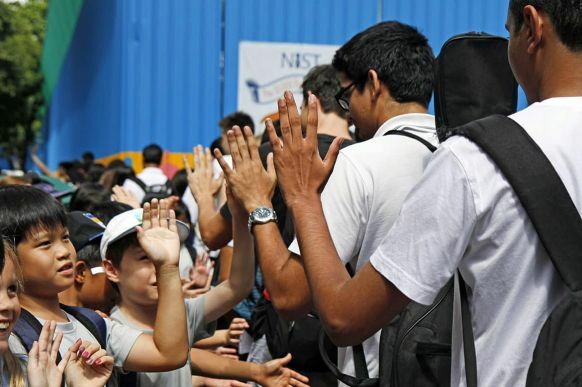 While every school strives to prepare its students as best as it can, NIST has always aimed for more–for excellence. 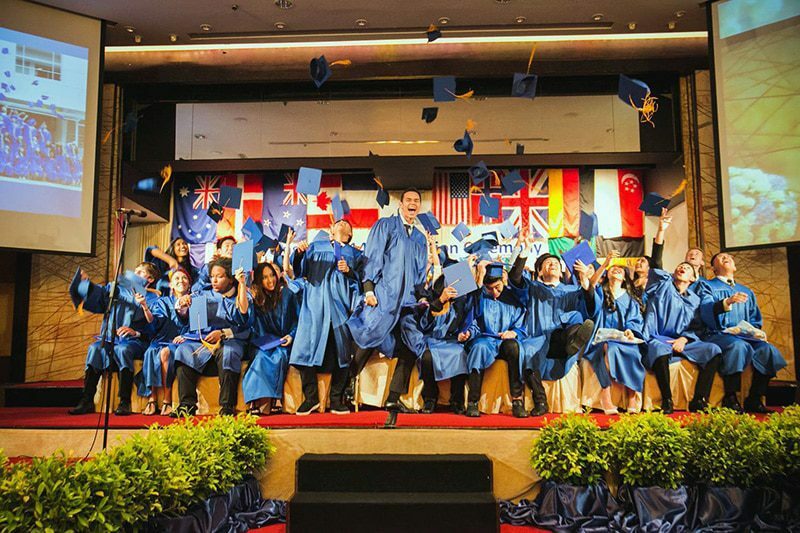 NIST International School’s Class of 2014 once again demonstrated the quality of education the school provides, and much more importantly the quality of the graduates themselves. This year the NIST seniors were accepted into over 150 universities across the world, including 31 ranked in the top 100. This also included 4 in the top 10, and 12 individual acceptances to the 4th best university in the world: UCL (University College London). Yet the numbers do not compare to their greatest accomplishment: 55 of our graduating seniors were accepted into their first choices! First and foremost, we strive to ensure that our students choose universities that match their strengths and interests, and the high number of graduates who can attend the schools they feel are most appropriate for them is something we take great pride in. Congratulations to all of the graduates, and good luck as you go on to make a positive impact in the world! Among the universities our graduates will attend are the following. Visit our interactive map for a full list, and view our graduation ceremony photo album on our Facebook page.